Anissa Sadeghi is a dear friend to stray, abandoned and puppy mill dogs. She is also a dear friend to ROMP Rescue. Gizmo, Buddy, Victor, Grace, and Stetson are just a few of our ROMPers who found their forever homes because of Anissa. Thanks to her tireless efforts, she has saved hundreds if not thousands of dogs over the years. She has brought dogs back from the brink of death and often gone out of pocket to nurse them back to health. Today, she lost her sister unexpectedly – a young woman, mother and wife. Her family does not have the financial means to pay for a funeral they did not expect. Please consider repaying Anissa on behalf of all the lives she has saved by helping her grieving family say farewell to her sister properly and with dignity. A donation of any amount will be sincerely appreciated. Funeral services will be held for Cari at 10:00 A.M. Friday morning, March 7, 2014 at the Burnside Christian Church in Burnside, Illinois with burial to follow in Thornber Cemetery in Powellton, Illinois. Visitation will be held from 3:00 – 8:00 P.M. Thursday evening at Printy Funeral Home in Carthage with family meeting friends from 6:00 – 8:00 P.M. 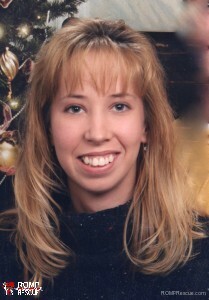 In lieu of flowers, memorials may be made to the family of Cari Seaver. Printy Funeral Home of Carthage is in charge of arrangements. This entry was posted in ALL, In Memory Of and tagged 38, anissa, dead, death, died, family, fund, help, illinois, mother, puppy mill, rescue, sadeghi, seaver cari, sister, sons, wife. Bookmark the permalink.